We have just released a new update for TextShot, our app for group texting and sending preset messages to text groups. This update improves support for larger-screen devices on the manual-entry screen, and adds a few other minor improvements. As always, if you have any issues or problems please drop us a line from the Support button on the title page of the app. TextShot Pro works with iPhone 6s, 6, SE, 5s, 5, and 4s, and is available now on the App Store. It is not restricted by number or size of groups, although your mobile provider may impose their own service limits. We have just released version 1.2 of TextShot, our popular group texting app, to the App Store. TextShot is designed to feel very familiar to all users of our MailShot group email app (although messages are sent from within the app itself this time) and it also adds the ability to create short pre-defined messages, to cut down on typing for messages you send repeatedly. The new update adds the ability to paste strings of numbers, or names and numbers to rapidly create groups that you can send text to. As always, if you have any questions please see our support page, or drop us a line from the Support button on the title page of the app. TextShot Pro works with iPhone 5, 4s, 4, iPod touch, iPad and iPad mini, and is available now on the App Store. TextShot 1.1 is Now Available. 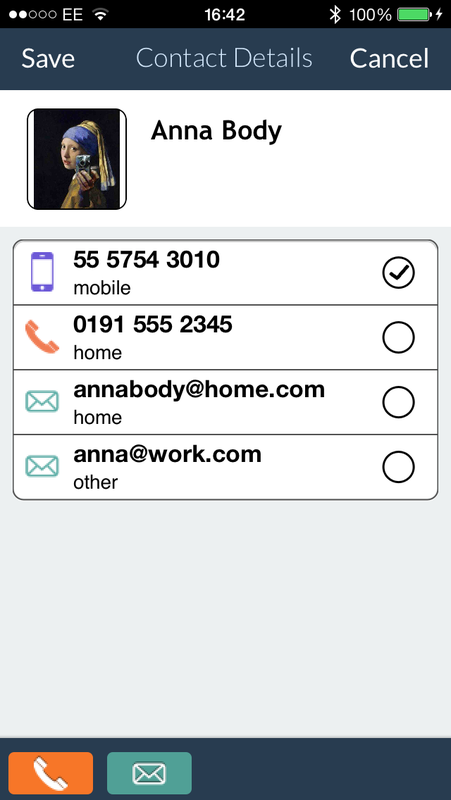 New update for TextShot group texting app adds ability to add phone numbers with custom labels from your address book. Version 1.1 of our TextShot group texting app has just been released, allowing you to add phone numbers that were marked with custom labels. Tap the orange phone button on the menu bar to toggle the display of all phone numbers, not just those labelled as “mobile” or “iPhone”. Groups size now shown in brackets, e.g. “(3)”, unless some are deselected, e.g. “(2 of 3)”. Improved data included in support request emails. “Text Preset” now used instead of “template” throughout. The User Guide has also been updated with an illustrated step-by-step guide to creating your first groups and text presets, through to sending your first message. Author Soluble AppsPosted on August 17, 2013 September 11, 2013 Categories UncategorizedTags App Store, group text, iOS, iPad, iPhone, Site Menu, TextShotLeave a comment on TextShot 1.1 is Now Available.